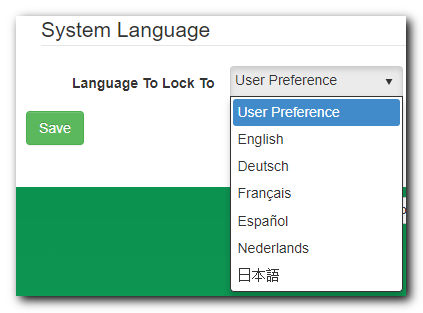 Using the System Language settings administrators can set the specific language for all web client users, or let the users decide which language they prefer. Due to continuous development, language localization is an ongoing process and some lines of English may still persist even after changing your preferences. If you have any questions or suggested revisions, please contact us with the phrase and an explanation. 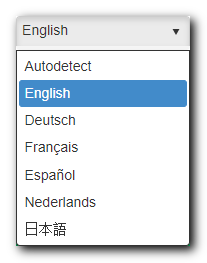 The user's system language is selected by default.